I have always loved Asian clothes. They not only look very stylish but have great quality at such an affordable price. Recently I came across an Asian website “Twinkle Deals” that provides wide variety of clothing, jewelry, watches, bags and other accessories. 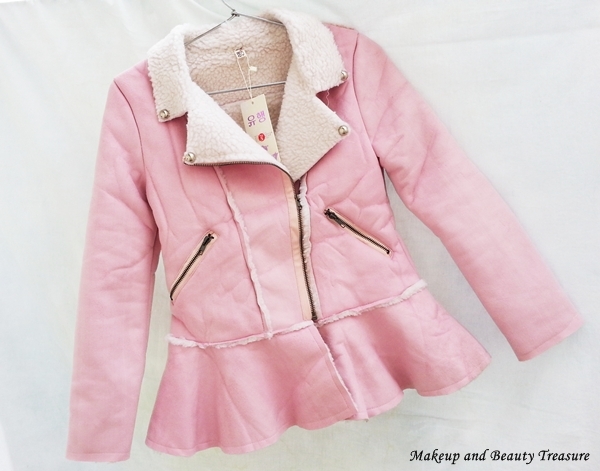 I was asked to choose anything from the website and this stylish pink coat* instantly caught my attention. It is priced at a discounted price of $30.32 (original price $66.70) and you can buy online HERE. It is currently out of stock and I hope it will be in stock soon! I loved the turn down collar! 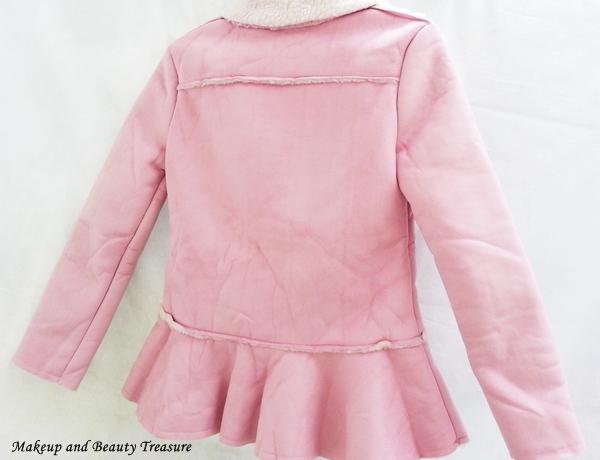 The coat is light pink with color with ruffle pattern. It has down collar that makes it look chic and stylish. It is made from polyester and has ruffled embellishment. I totally loved the pattern of the coat. It looks absolutely glamorous and stylish when wore on jeans or skirts. The interior is lined in a fleece sort of material that is extremely soft and feels comfortable on my skin. The material is reasonably thick yet very lightweight. The design of the jacket is simple yet uber stylish. It is light pink in color with very smooth outer material. It has full length zip which is quite thick and sturdy. It is perfect to wear when you are out in chilly weather. 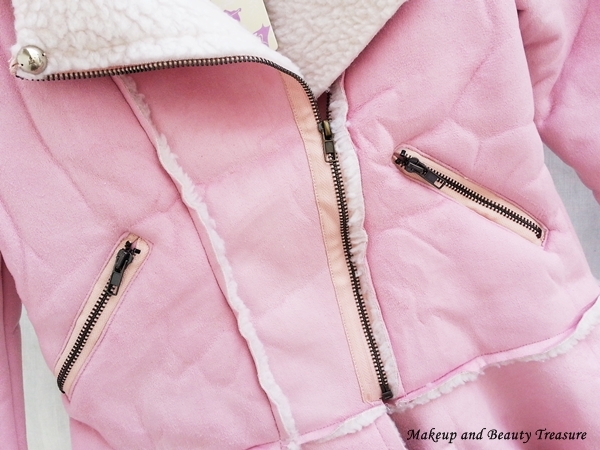 There are also two zippered pockets on the coat. I got size S that fits perfectly but was slightly tight on arms. I should have ordered M or L size for the perfect fit. The jacket not only looks fashionable and unique but also feels extremely soft against my skin. It is made from high quality material and you get what you pay. I love pairing it with my dark jeans, black skirts or dresses and it makes me look chic and funky. Maintaining the jacket is simple too. It can be given for dry clean! 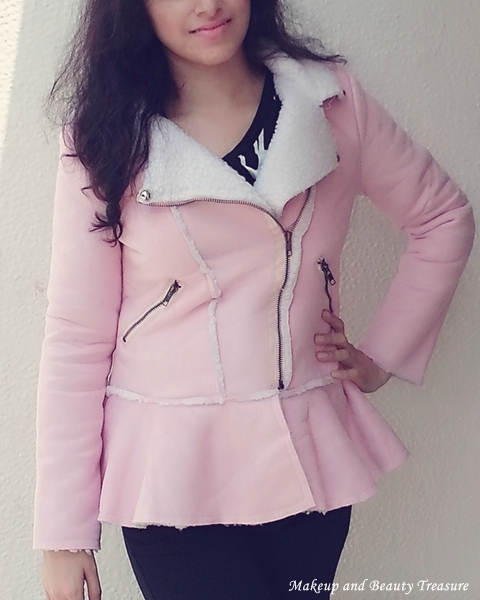 It is a great coat to wear in winter seasons! • Looks chic and girlie. • Made from very good material. • Feels extremely light and comfortable. • Feels warm and cozy. • Perfect for winter season. I totally loved Twinkles Deals Ruffles Coat. It not only looks chic and stylish but feels extremely comfortable. It is the prettiest coat I own. If you love stylish jackets then I would HIGHLY RECOMMEND it to you! • As the coat is slightly thick make sure to hang it in coat cover. Do you like this coat? Does it interest you? I just purchased a coat from twinkle deals. Wish me luck! I hope it looks the way it's pictured! I had to order a 2x due to my 43 inch just but I am certainly NEVER this size in real life! Normally a medium large so we'll See! I would love to see what you ordered!